I simply have to have one of these My neighbor has one and it is breathtaking that I had to go over and get the name. She saw it at the Cincinnati Zoo and felt the same way that I do.Please help. Are there any nurseries on the east side of Cincinnati that have this plantThanks. Arkansas Amsonia is one of my favorite perennial plants for fall color. It is also one of the easiest plants to be successful with as a gardener. Amsonia is 3 feet tall by 3 1/2 feet wide. The leaves are very fine textured giving the plant a very soft look. Anyone walking by can’t help but pet the soft foliage. 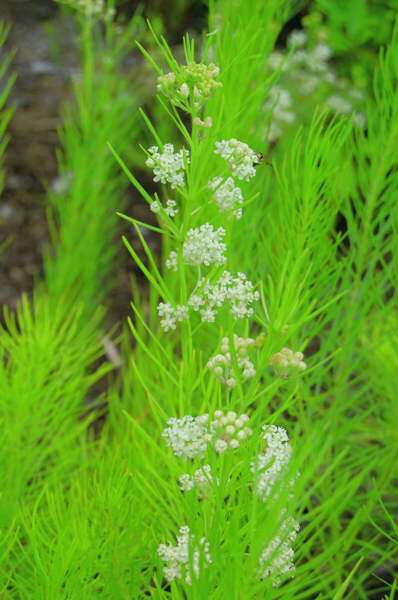 Planted as a specimen or in a grouping of 3 this plant can hold its own compared to any small shrub in the landscape. Amsonia emerges from the ground in the spring with a group of new shoots coming from a central clump. Amsonia does not spread or run but stays right where you planted it. In May as the foliage emerges, clusters of pale blue star-shaped flowers are born on the tips of the branches. These flowers are not super showy at a distance but up close they are very lovely. The real show comes in the fall when the golden yellow fall color mixes with many of the beautiful colors of the fall season. 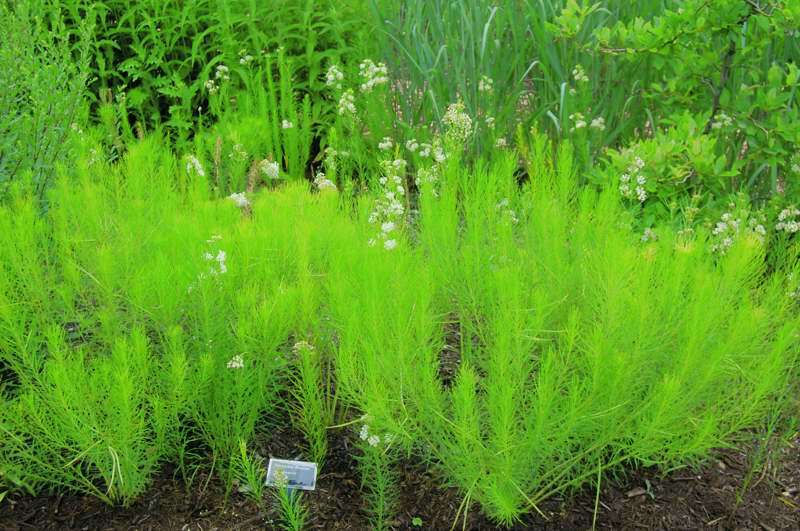 Plant combinations with Amsonia hubrichtii are easy due to its beautiful fall color and fine texture. My favorite plants to use in combination are Aster ‘Raydon’s Favorite’ and Conoy Viburnum. Aster ‘Raydon’s Favorite’ is a great companion because it comes into bloom as Amsonia goes into its fall color. Raydon’s Favorite Aster has beautiful showy pale blue flowers in the fall. Raydon’s Favorite Aster is one of the most beautiful perennials in the fall landscape. The other favorite plant in combination with Amsonia is Viburnum ‘Conoy’. Viburnum Conoy is a 3 to 4 foot low mounding shrub with dark green thick foliage. In fall the dark foliage of Conoy Viburnum makes a great companion to the golden yellow foliage of Amsonia hubrichtii. Great landscapes start with great plants. Try Amsonia in your garden this coming year.